When stunning exiled princess Daenerys Targaryen (Emilia Clarke) emerged from the ashes of her Dothraki warlord husband Khal Drogo's funeral pyre with three dragon hatchlings in the season one finale of HBO's Game of Thrones, the game officially changed. Those who've read author George R. R. Martin's medieval fantasy series know how the return of dragons will impact the balance of power as the various nations of Westeros battle to claim the Iron Throne, but those experiencing this tale for the first time on television are eagerly awaiting the sight of full-grown fire breathers in flight, streaking across the sky like a red comet and terrorizing all who would challenge their mother. 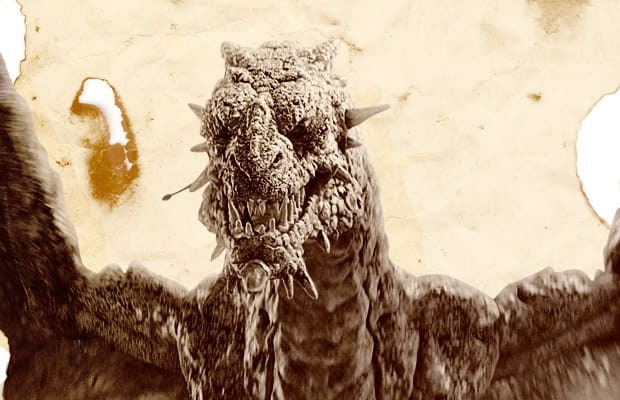 While you wait for the winged terrors to come of age, feel free to roast your s'mores with the fires of The 20 Coolest Looking Dragons In Movies And TV Shows.